Hossan Leong, Chevalier de l’Ordre des Arts et des Lettres, is one of Singapore’s most loved and recognized entertainers. 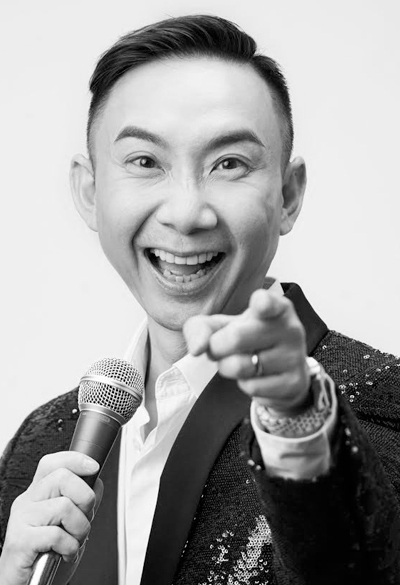 Affectionately known as ‘Singapore Boy’, Hossan is a consummate performer whose skills include singing, dancing, acting, piano playing, and stand-up comedy. Hossan continues to delight audiences, whether starring in his production Hossan-ah!, or through his creative involvement with local theatre productions, television and film. He intends to nurture the next generation of actors by giving them a platform to showcase their skills through his companies, Double Confirm Productions (Singapore) and Double Confirm Arts & Media Sdn Bhd (Malaysia).